Aspirin has many purposes: It can help alleviate pain and serves as a fever reducer, and taking a daily dose may also lower your risk of heart attack according to the Mayo Clinic. In addition, aspirin has been shown to have anticancer properties — specifically when it comes to breast, liver, colorectal and gastrointestinal cancers according to the National Cancer Institute. However, two new studies revealed that low-dose aspirin might have an additional perk: taking one low-dose pill a day could help women avoid ovarian cancer or boost their survival if they should develop it. The first study, conducted by the National Cancer Institute and the Moffitt Cancer Center in Florida and published in the Journal of the National Cancer Institute, asked more than 750,000 women about their use of aspirin and NSAID pain relievers (the class of pain relievers aspirin is a part of). What researchers found was that those who used aspirin on a daily basis had a lower risk of developing ovarian cancer. In fact, the risk was reduced by 10 percent. 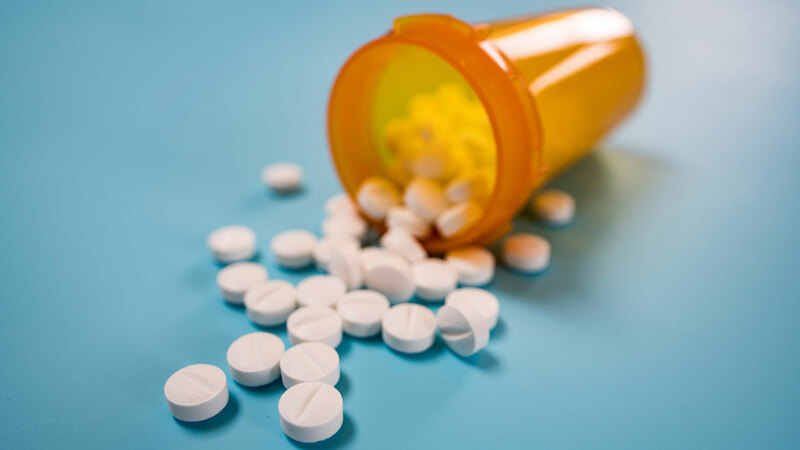 “This study gives us a new perspective on whether aspirin and non-aspirin NSAIDs can impact cancer risk," Dr. Shelley S. Tworoger, senior study author and associate center director for Population Science at Moffitt Cancer Center, said in a statement. "Not only does it look at ovarian cancer, which hasn’t been studied before… the results of the study support that aspirin can reduce ovarian cancer risk." However, Tworoger noted that additional research is needed before doctors can make a recommendation on daily aspirin use for this purpose. For example, we need to figure out the optimal dosage to reap aspirin's potential cancer-fighting benefits as well as whether baby aspirin or regular aspirin works best, she explained in the statement. The second study, from the Moffitt Cancer Center and the University of Hawaii in Honolulu, published in The Lancet Oncology, analyzed data from nearly 1,000 women with ovarian cancer. What researchers found there was even more promising. People who used aspirin and nonaspirin NSAIDs after being diagnosed with ovarian cancer experienced as much as a 30 percent improvement in survival. Ovarian cancer is the fifth-leading cause of death for women aged 35 to 74 according to the National Ovarian Cancer Coalition, and while it can be difficult to diagnose, the five-year survival rate for those who receive an early diagnosis is 90 percent — making prevention and detection key. That said, it should be noted that aspirin therapy is not for everyone. According to the Mayo Clinic, a daily regimen may increase your risk of having a stroke and/or gastrointestinal bleeding. As always, consult your doctor before starting any new medical routine.